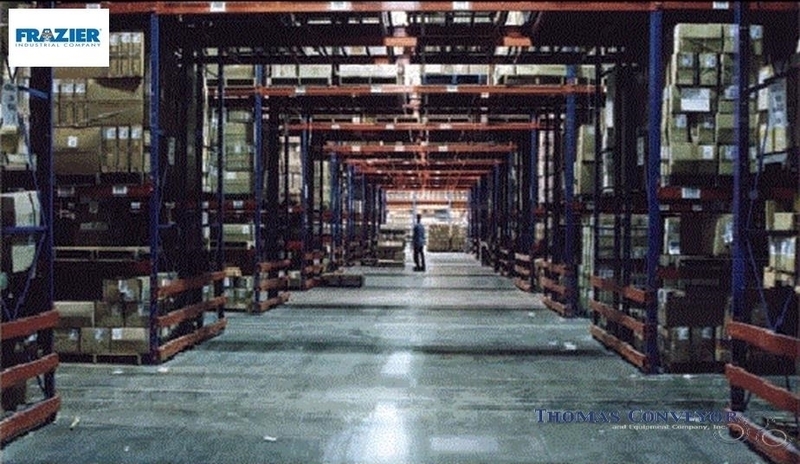 Thomas Conveyor Provides Heavy Duty Storage Racks to Create Storage Space In any Industrial Setting. 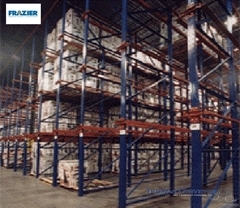 Pallet Rack Systems – Frazierare easy to assemble and can expand to fit your growing needs. Warehouse pallet racks are a material handling storage system designed to store products and materials on wood pallets in horizontal rows and vertical levels. 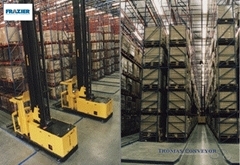 Horizontal beams attach to vertical upright frames, creating industrial shelving to support pallets of material that can be accessed by forklifts. Control the distribution and storage of palletized inventory and improve profitability by investing in the right system for your operation. 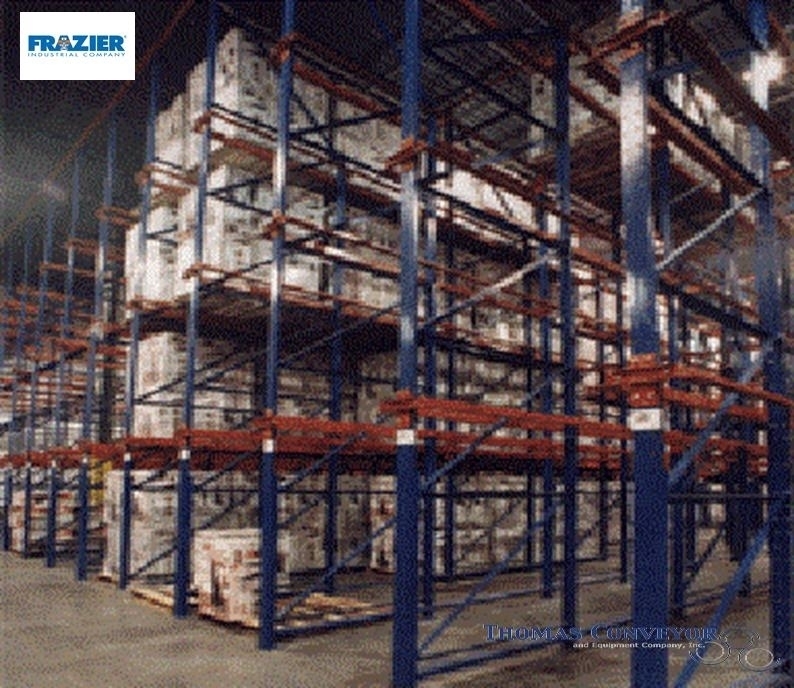 Advantages of using Pallet Rack System – Frazier are: Direct access to each pallet, Simple stock management, Racks are adaptable to any product volume, weight or size, and cost savings through wide span beams. 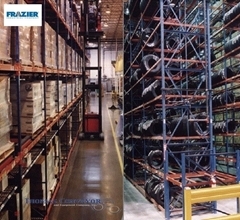 For a fast and easy solution to your immediate storage problems, purchase the Frazier Sentinel Stock Rack. The same quality standards of custom rack systems are adhered to on the design, manufacture, and installation of Sentinel Stock Rack. 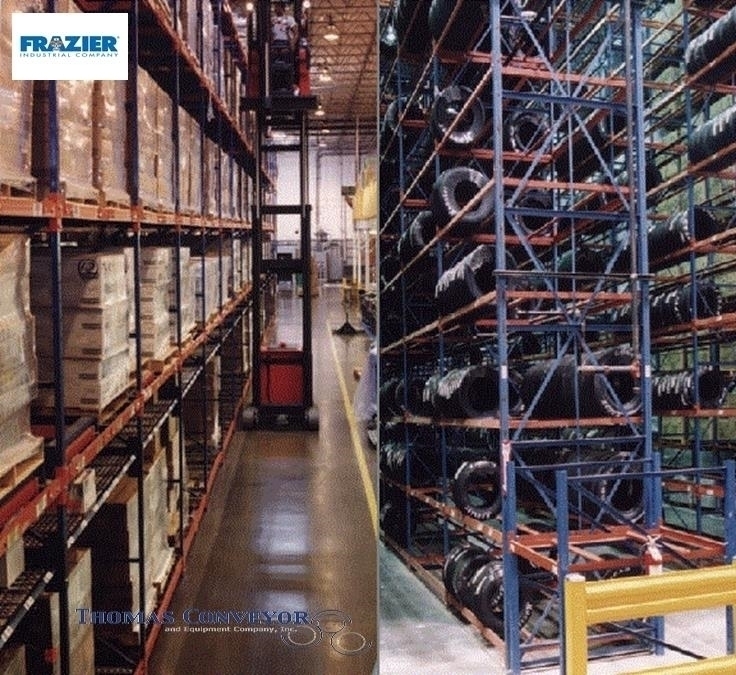 Warehouses, distribution centers and manufacturing facilities around the world utilize Pallet Rack Systems – Frazier more than any other equipment for palletized product storage. 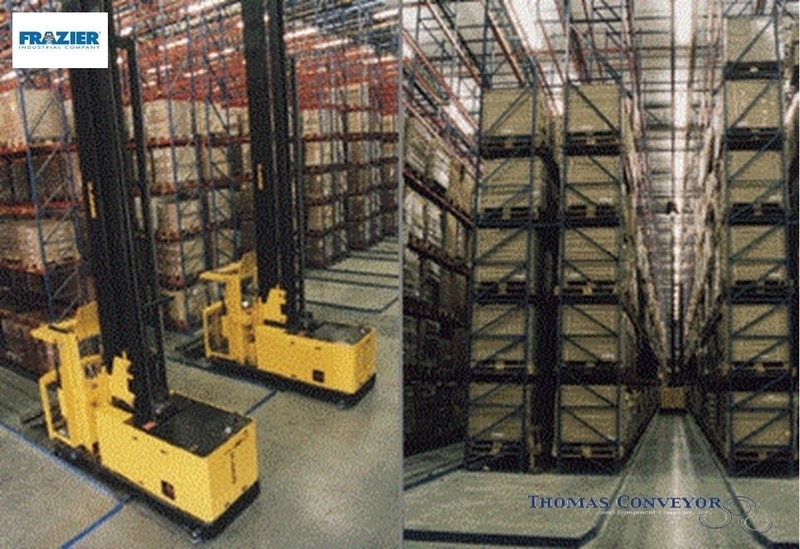 Contact the experts at Thomas Conveyor to help design the pallet rack system that suits your storage needs!